Remembrance Sunday this week so we will be holding a minutes silence. 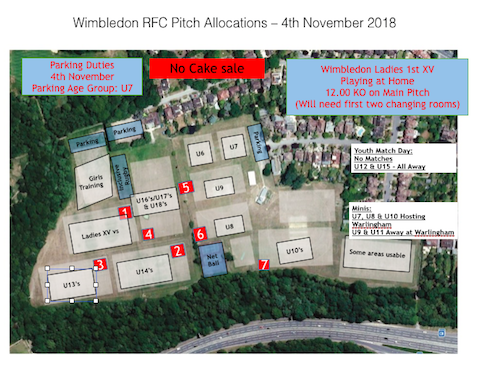 Paul asks that the U12 & U10 can move out towards the U11 pitch, the Netball can come out onto the same pitch, and the U13 bring their visiting team towards the end of P4. If anyone spots someone who has not noticed it is coming up please help and send a coach over the remind them of the timings. U6s on cake sales. Please support them if you can. U8s on parking. A huge thanks to Zoe and Frances and all volunteers that made fireworks night last Saturday such a fun and successful evening. Even though it was a touch nippy it was clearly a highlight of the year with lots of oohs and ahhs and beer/BBQ action as well. 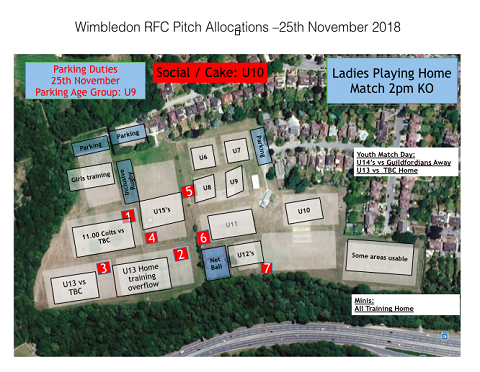 Quite a lot on this Sunday with the girls playing at 12 noon, followed by the ladies XV at 2pm. Please stay and support them both if you can. Turning out to be a cracking season isn't it? We've got, for the first time, over 500 kids signed up for this season. This is fantastic. Thanks to all the mums and dads who help out each week. Makes all the difference. 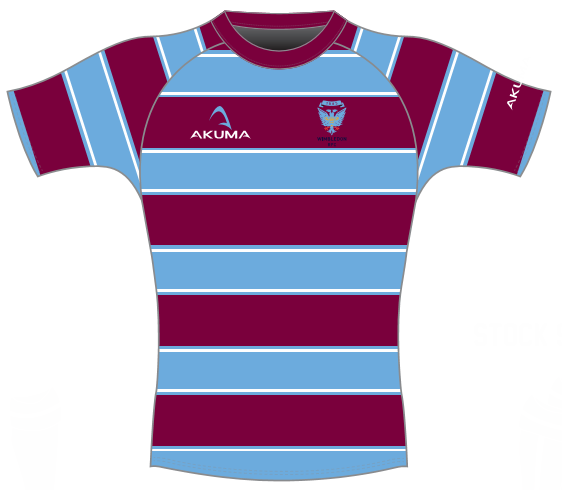 Specifically, with help on the website (both technical: webmaster, and admin: comms officer to help put up posts like this); another fixtures person to help organise the mini festivals and matches; a registrations officer to help administer the kids' details on the RFU game management system; another person to help with child safeguarding with Sophie and Kate, and a person to liaise with schools and the community. None of these roles takes up much time - about 10 hours a month, max. But they are vital to keep the club running smoothly. If you would like to find out more about these roles and can help please email Richard Castle: secretary@wmrfc.co.uk. 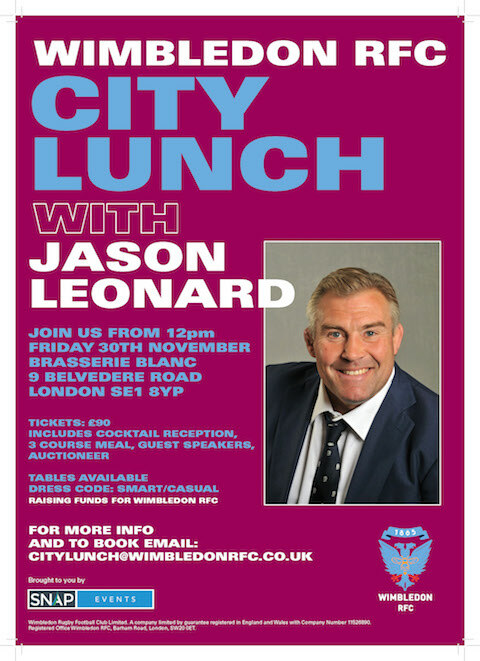 Finally, we're having a city lunch again this year with guest of honour Jason Leonard on 30 November 2018 at Brasserie Blanc, South Bank SE1. 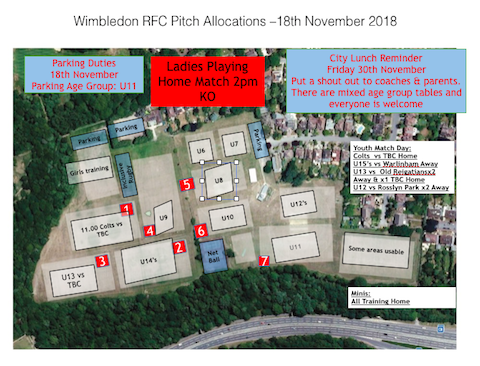 Tickets and info via citylunch@wimbledonrfc.co.uk. A very fun afternoon to talk rugby and get the festive season off to a bang. Quite a few age groups are away this weekend. 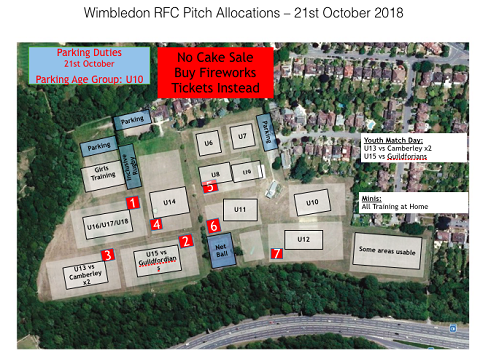 But for those who are at home be first to secure tickets to our fabulous fireworks evening on Saturday 27 October 2018. Tickets on sale from behind the bar (and at King's this weekend if you're at the KCS festival (where the u8s are playing)). 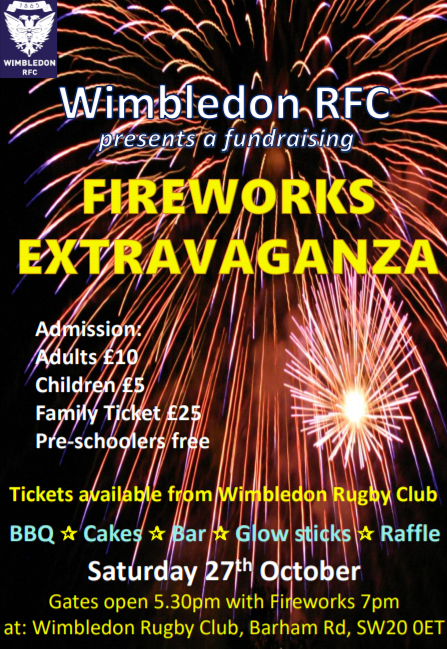 Last year's fireworks was a sell-out so get your tickets early and come down and enjoy a great family night out at the club. Doors open 5.30 with BBQ and bar. Fireworks at 7pm. 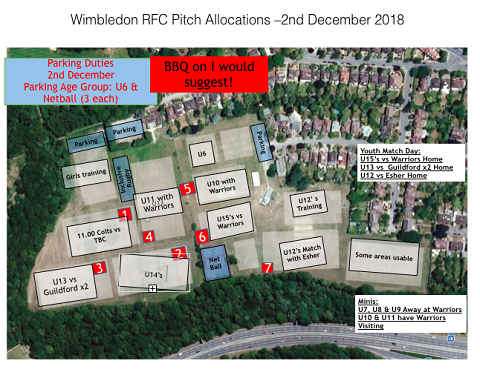 A huge welcome to our guests this Sunday: Wimbledon Warriors, Rosslyn Park, Esher, Old Midwhitgiftians, Sutton & Epsom, Guildford, Warlingham and Battersea Ironsides. 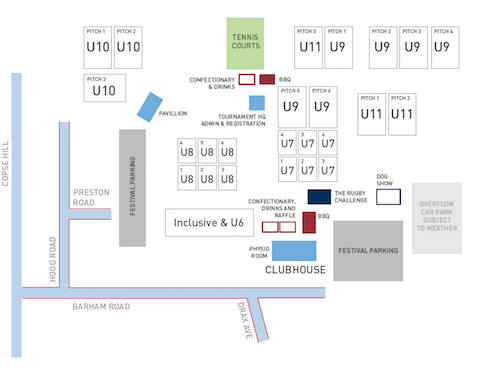 By far the largest number of clubs to ever join us at our festival. 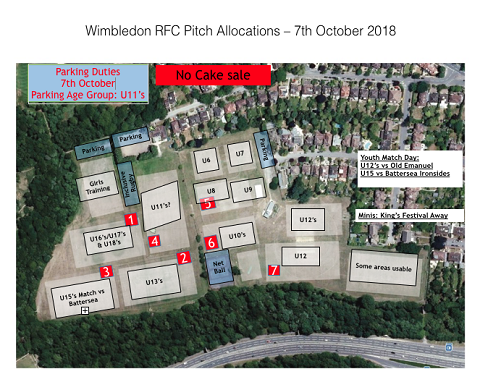 The weather is looking good so we will be able to park on the grass which will help with the parking challenges we always face. 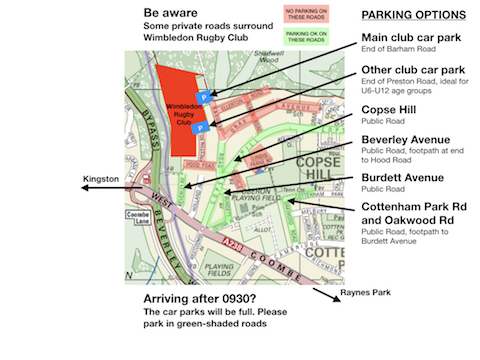 If you can avoid coming down Barham Road to the club please do - the volume of cars will make entry and exit pretty slow. 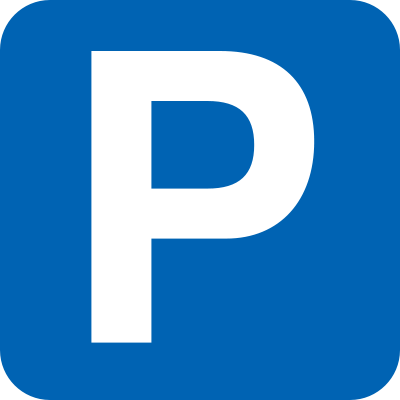 Please read and follow our parking policy, and listen to any parking instructions you are given - and respect that everyone marshalling the parking are parent volunteers. Sadly the rain has been too much over the past 24 hours. No fun. 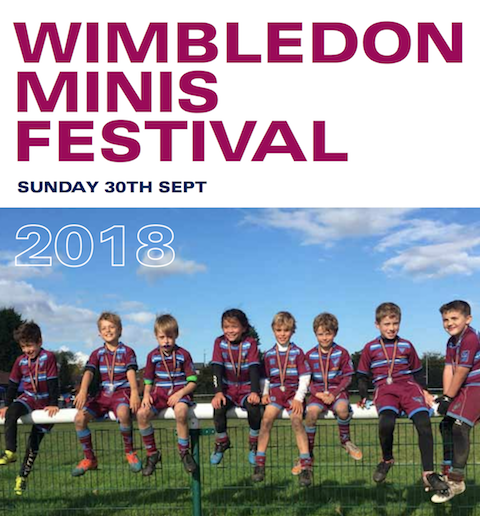 See you all next week (Wimbledon Rugby Festival).